Quick post from me - I'm sliding in at the last minute with a second card for Becca's Hop To Stop which is raising awareness about domestic violence. Love the splatters and the way the dress is watercolored! Love your purple power card! You have such balance with your image, splatters and sentiment!! 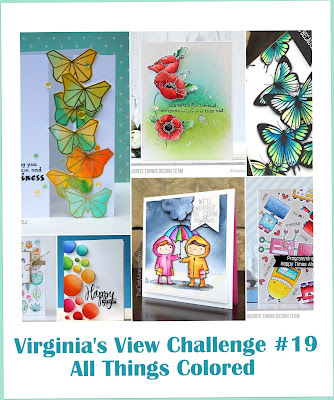 All your cards rock and I am a Shirley Bee fan! Another beautiful card for the Hop to Stop! I'm glad you were able to join a second time. Thank you for caring about this important and very serious issue that has impacted the lives of so many of us, and for supporting the hop with your beautiful card. A bit of all the good things went into this awesome creation! Thanks, Shirley, for popping in to the Hop to Stop! I love what you've made. I love your card with the watercolouring and the inky splatters! Cool stamp and a great card! Love how beautifully the 'this & that' came together! 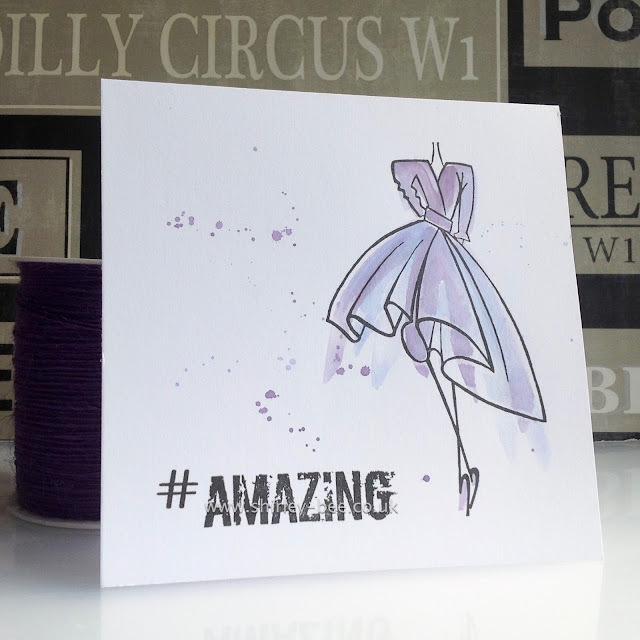 What an awesome card - thank you so much for your nice comments on my blog. This has been a great hop.